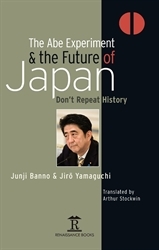 With an author’s Foreword written on the day that the Abe cabinet decided to ‘revise the Japanese Constitution by reinterpretation’ (Tuesday, 1 July 2014), this timely examination of Japan’s post-war history by two leading historians committed to democratic politics is highly challenging and prompts serious reflection by anyone concerned with the future of Japan. 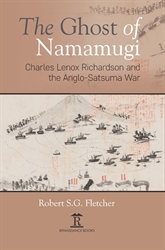 In 1862, a British merchant was killed by samurai at Namamugi, a quiet village near Yokohama. One year later, a British fleet bombarded Kagoshima to extract reparations, reducing much of this south-western city to ash. 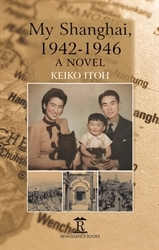 This captivating re-telling, locates the story firmly within the wider context of British imperial expansion in East Asia. 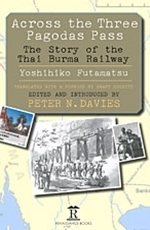 This is a translation of the only known detailed account of the building of the notorious 262-mile-long Thai-Burma Railway by one of the Japanese professional engineers who was involved in its construction. Fully illustrated in colour, here is the first introduction in English to one of Korea’s outstanding cultural assets – the banchado (‘painting of the order of guests at a royal event’) relating to all those taking part (1800 people) in the eight-day royal procession to Hwaseong ( Gyeonggi Province ) organized by King Jeongjo in 1795 in order to visit the tomb of his father and to celebrate his mother’s sixtieth birthday. 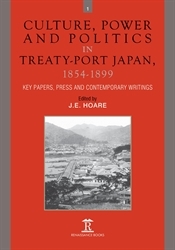 This book reviews the role of British Foreign Secretaries in the formulation of British policy towards Japan from the re-opening of Japan in the middle of the nineteenth century to the end of the twentieth century. 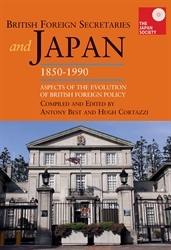 It also takes a critical look at the history of British relations with Japan over these years. 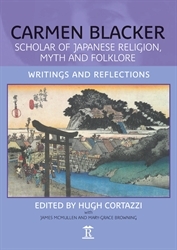 Carmen Blacker was an outstanding scholar of Japanese culture, known internationally for her writings on religion, myth and folklore – her most notable work being The Catalpa Bow: A Study of Shamanistic Practices in Japan . 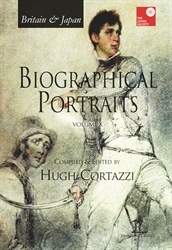 Importantly, a third of the volume comprises significant extracts from the author’s diaries covering a period of more than forty years, together with a plate section drawn from the her extensive photographic archive , thus providing a rare opportunity to gain a personal insight into the author’s life and work. Here is a history of the South China Sea (SCS) conflict and the stakes for each of the bordering states and China’s (PRC) interaction with them. 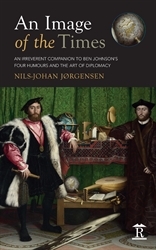 It examines the US’s role in the region. 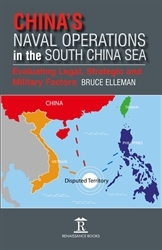 It examines the PRC’s perception of the SCS, and its strategy to claim the islands and waters, in the context of the strategies of other stake-holding nations. 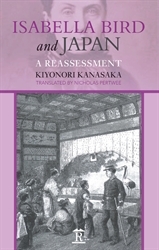 Here is a rare first-hand account by a foreigner living and working in Japan in the first half of the twentieth century which provides a unique insight into this important period of Japan’s history, and complements the existing archival material. 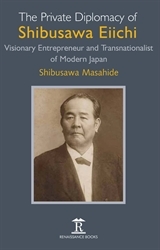 Beginning life as a student interpreter, he went on to become an assistant in Korea, Vice-Consul in Yokohama and Osaka, Consul in Nagasaki and Dairen, then Consul-General in Seoul, Osaka, Mukden and Tientsin. 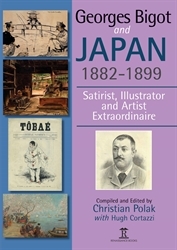 Incorporating over 250 illustrations, this is the first comprehensive study in English of French artist and caricaturist George Ferdinand Bigot (1860-1927) who, during the last two decades of the nineteenth century, was renowned in Japan but barely known in his own country. 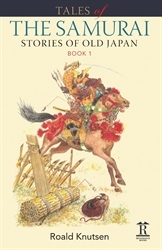 Even today, examples of his cartoons appear in Japanese school textbooks. 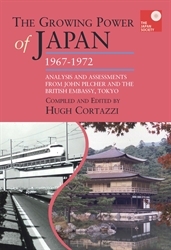 Sir Hugh Cortazzi who was to follow in John Pilcher’s footsteps, has compiled the defining reports to Whitehall from Pilcher’s time in Tokyo – resulting in an invaluable record of Japan’s progress at this important point in her post-war history, as well as providing unique insights into the activities, hopes and expectations of the British government in her dealings with Japan. 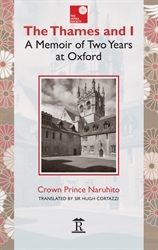 Pilcher was appointed British Ambassador to Japan in 1967 and brought to his role a particular understanding of Japanese civilization together with a critical analysis of Japanese attitudes and way of life. 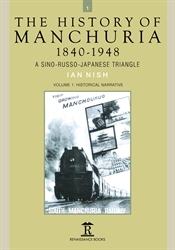 The History of Manchuria, 1840-1948 is the first fully researched and documented history of its kind, representing a significant benchmark in scholarly studies of the region. 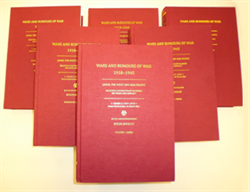 In this his long-awaited final major work, Ian Nish provides valuable new perspectives on the turbulent times suffered by the three north-eastern provinces of China, generally called ‘Manchuria’, in the course of the last two centuries. 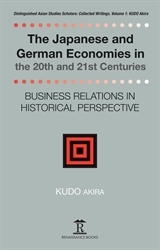 Supported by a number of high-profile case studies, this volume offers a comprehensive exploration of Japanese-German economic relations through the whole of the twentieth and beginning of the twenty-first centuries. 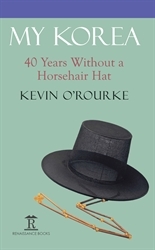 It also offers clarification on the structure and processes of the world economy in the same period. 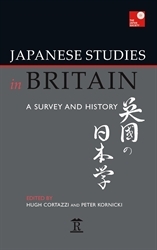 This book takes an in-depth look at the study of Japan in contemporary Britain, highlighting the many strengths but also pointing out some weaknesses, while at the same time offering a valuable historical record of the origins and development of Japanese Studies in British universities and other institutions. 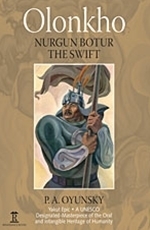 Like Homer’s Iliad and Odyssey , the Finnish Kalevala , the Buryat Geser , and the Kirghiz Manas , the Yakut Olonkho (declared In 2005 by UNESCO to be ‘A Masterpiece of the Oral and Intangible Heritage of Humanity’) is in this case an epic dating back to the ninth century – when the ancestors of the present-day Yakut peoples lived on their former homeland and closely communicated with the Turkic and Mongolian peoples of the Altay and Sayan regions. 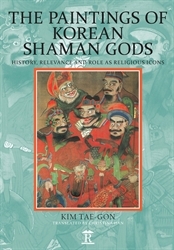 This is the first comprehensive, fully illustrated study of Korean shaman gods to be published in English; it includes 130 full-colour plates of shaman gods, many dating back to the eighteenth century. 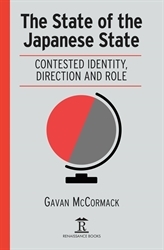 In this his latest work, Gavan McCormack argues that Abe Shinzo’s efforts to re-engineer the Japanese state may fail, but his radicalism continues to shake the country and will have consequences not easy now to predict. 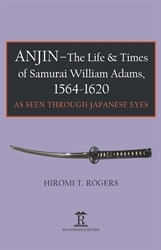 The significance of this book will be widely recognized, particularly by those researching contemporary world politics, international relations and the history of modern Japan. 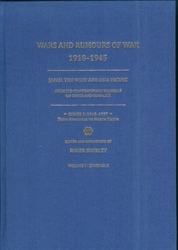 Wars and Rumours of War brings together a wide selection of contemporary English-language primary material in order to illustrate how authors from both Asia and the West saw contemporary events. 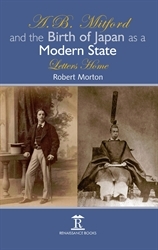 For the first time, this new series makes available books, journal essays and periodical articles, many of which may be absent from standard bibliographies, with a view to widening debate and underlining the diversity of opinion that was available to contemporary audiences in Asia and beyond who were anxious to follow developments as they unfolded. 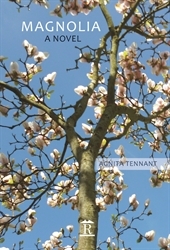 This is a modern tale, a journey of the heart, a road back, revisiting many cities and enduring Eastern and Western sentiments to light and lighten our understanding of life’s fleeting appearance. 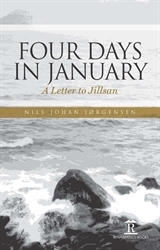 It is a way of honouring the life of a loved one, to tell a personal story that reflects the shared, universal truth of the silence of loss from Kakimoto to Goethe and beyond. A fascinating and highly personal introduction to Korea. 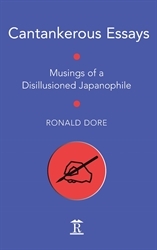 Part memoir, part miscellany, it introduces traditional and contemporary Korean culture through a series of essays, stories, anecdotes and poems. Confucianism, Buddhism, relationships, everyday living, language and literature are comprehensively covered. 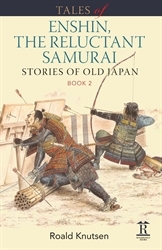 Written by the pen of a high-ranking swordsman who has immersed himself in the warrior traditions of old Japan for over fifty years and author of several books relating to the Samurai culture and its traditions, here are some absorbing short tales supported by the author’s own illustrations that will take the reader directly back to both ancient and medieval Japan. A unique take on modern life in Japan’s capital city. 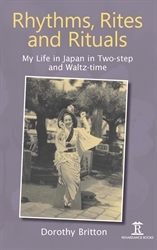 A Japan of trains, everyday to and fro, carriage scenes and theatre, vistas from the window, advertising posters. Each to be savoured through a specific Tokyo line – the Odakyu. 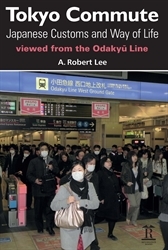 Pitched as creative text and line-graphics, Tokyo Commute: Japanese Customs and Way of Life Viewed from the Odakyu Line offers on-track and off-track observations.